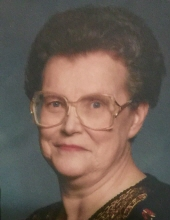 Hastings resident Lois D. Bayles, 80, passed away Thursday, March 28, 2019, at Mary Lanning HealthCare in Hastings, Nebraska. Lois was born December 9, 1938, in Berwyn, Illinois, the daughter of George and Dorothy (Arndt) Sieloff. She married Bill Bayles on January 15, 1961, in Hastings, Nebraska. Lois worked at Hastings Regional Center and later helped her mother in their catering business. She was a member of the Hastings Eagles Club, where she was involved in the drill team and serviced as past vice-president and president. Lois enjoyed crocheting, fishing, camping and volunteering at the Good Samaritan Society in Hastings, NE. Lois is survived by her daughters, Patricia (Steve) Jacobi of Hastings, NE, Arlene Karr of Juniata, NE, and Shelly Boden of Hastings, NE; eight grandchildren, Bret (Nastasha) Boden, Zachary (Mercedes) Boden, Brandi Boden all of Hastings, NE, Heather (Jacob) Wroughton of Nelson, NE, Kaitlyn Karr of Juniata, NE, Jason (Samantha) Jacobi of Lincoln, NE, Ryan Jacobi of Hastings, NE, and Brittany Jacobi of Elkhorn, NE; along with twelve great-grandchildren and one on the way. She was preceded in death by her parents; husband; granddaughter, Stephanie Bayles; and brother, Robert Sieloff. To send flowers or a remembrance gift to the family of Lois Bayles, please visit our Tribute Store. "Email Address" would like to share the life celebration of Lois Bayles. Click on the "link" to go to share a favorite memory or leave a condolence message for the family.